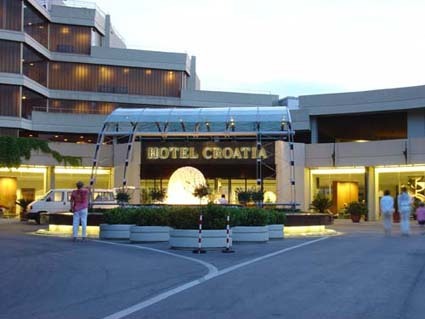 A welcome cocktail reception for all the congress participants will be organized at the pool area terraces of the Croatia Hotel. "Klapa" � a group of local singers and players dressed in national costumes will enhance the atmosphere of the congress opening. The participants will sign up to have dinner with an expert. Each group will go to a restaurant where they will enjoy a convivial meal in the company of an expert. Oldtime sailboats take the group from Cavtat to Dubrovnik. The scenic journey along the Riviera takes 45 minutes and includes the picturesque coastline, the islands, the magnificent city walls. Upon disembarkation in old Dubrovnik port, small groups of 20-30 people would have a private walking tour of the old walled city of Dubrovnik. There will be free time to explore the city on your own before returning to the hotel by coaches. The guests are transferred to the old town of Dubrovnik and welcomed in front of the Revelin Fortress by fires, entertainers and costumed guards with helebardes. Whilst the guests are entering, the musicians play Renaissance music. Towards the end of the buffet dinner, the dancers, all dressed in beautiful Renaissance costumes, perform. After dinner, a dancing band entertains till late hours. 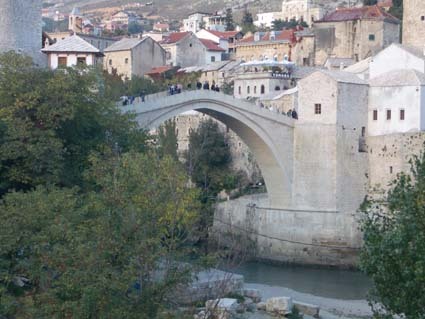 This excursion combines the atmosphere of Mostar (in Bosnia & Herzegovina) and the delta of the Neretva River. This area has seen varied cultures and religions over the centuries, each of them leaving its traces which this tour will show you. During the Turkish rule, the city was an important trade centre, and guided tour will show you the city`s highlights, such as the old Bazaar, the Mosque or a typical Turkish house. Our return drive takes us to Pocitelj, a picturesque fortress town rich in oriental architecture. Lunch will be served en-route. The Neretva River Delta is an area of vast marshland abundant in flora and fauna sheltering hundreds of species of bird life. Cruise in small boats � �trupe� � through the canals to enjoy the beauty and variety of the delta. Hardly one-hour drive from Dubrovnik, the Montenegro Littoral provides incomparable natural beauties and an abundance of historical sites. 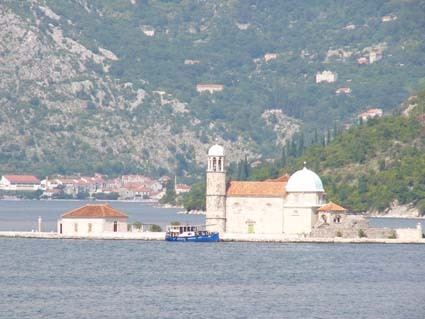 Our drive takes us to the mouth of the Bay of Kotor, through the towns of Risan and Perast to Kotor. We stop here to take photos and learn some of the compelling history of the area. Our descent from the heights takes us to Cetinje, once a seat of Montenegrin rulers, today a city-museum. After Cetinje, a lunch will be served in a local restaurant. On our way back from inland to the coast, we stop above the places of Sveti Stefan and Budva. The return drive to Dubrovnik will be shortened by a ferry ride across the bay. During the Roman Empire, silk was sold for its weight in gold. Here, in Konavle valley, south of Dubrovnik, women keep the tradition of small, non-profitable ancient handcraft of silk production. Silk thread is mostly used for the embroidery of beautiful national costumes of Konavle region. Take the opportunity to share the experience of producing silk thread in the traditional manner. Enjoy the hospitality of the village family and rediscover some of the lost values. Hiking possible. This guided tour includes a transfer to Dubrovnik and a walk on the magnificent Dubrovnik stonewalls built throughout the centuries to protect the ancient republic. Today, these unique ramparts are the major landmark of feature of Dubrovnik. After the tour visit two galleries and a gift shop with a good opportunity to buy a valuable piece of art or just a small souvenir. Monday, May 7th, is the day for young participants and their parents. Take part and apply! Logopedi! Za pozivno pismo kliknite ovdje (PDF format). Croatian Association For People Who Stutter "Hinko Freund"
© 2007 Croatian Association For People Who Stutter "Hinko Freund"